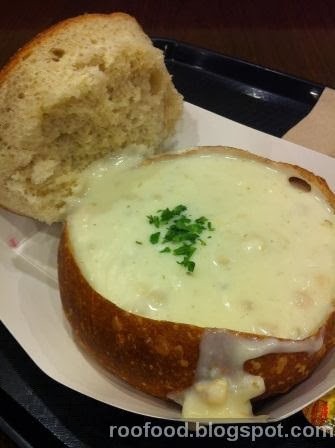 After a wet, dreary morning touring Alcatraz, I headed to Pier 39 and decided a warm bread bowl of clam chowder was in order. I needed to warm my hands and my insides. It was freezing cold and wet! 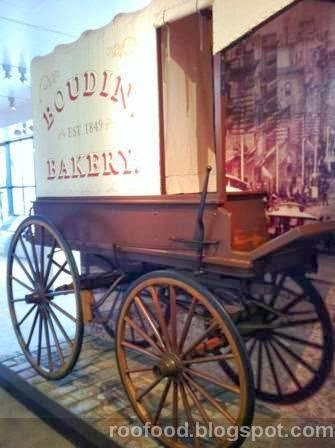 San Francisco, and particularly Boudin Bakery, is famous for it's sourdough. So the only place I wanted to have it was at the Boudin Bakery. 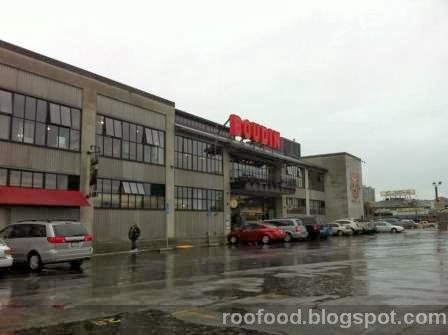 There are plenty of locations around SF to have it and there is a bakery at Pier 39. Best environmentally friendly lunch you can get...you get to eat your chowder and your bowl! 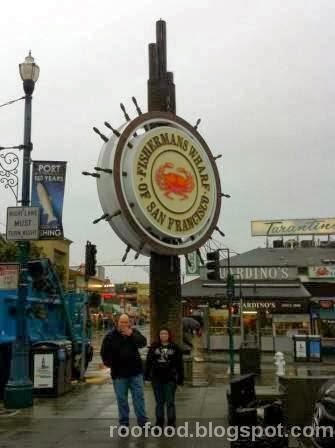 There are loads of touristy shops to check out at Pier 39. I stumbled upon Hot Licks, another store dedicated to all things hot sauce and the chilli! There are so many brands on offer I'm in awe. 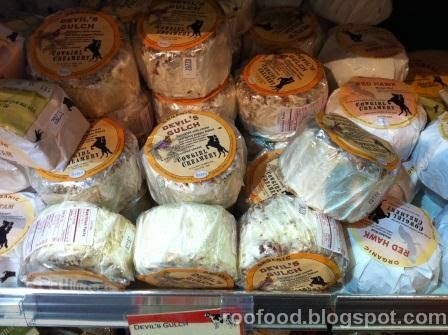 Don't be afraid to ask for a taste test...alot are on offer (and kept in the fridge). 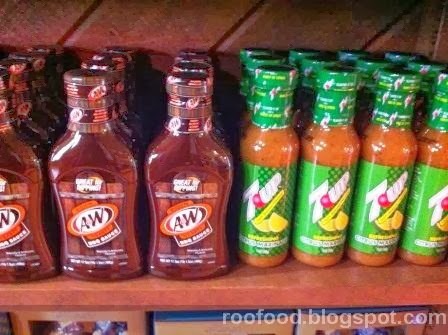 Even A&W and 7 Up have a line of sauces. Dr Pepper is represented to. Just remember to go to the end of the Pier to see the Sea Lions - you will hear and smell them before you see them. 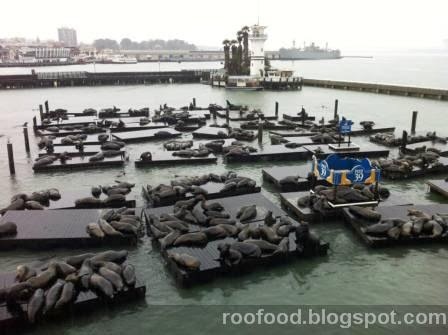 Hundreds of sea lions laze around on pontoons around the Pier. Perfect viewing platforms upstairs. Further along is Fishermans Wharf. 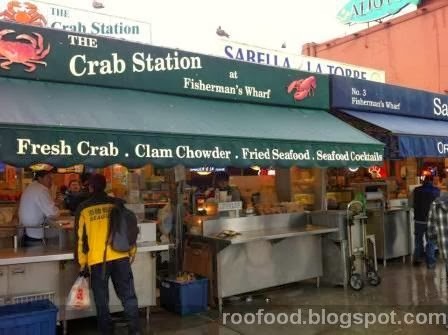 Here you will find many seafood stalls preparing the fresh catch of the day and freshly steamed crabs and seafood of your choice. Pull up a table and eat to your hearts content. 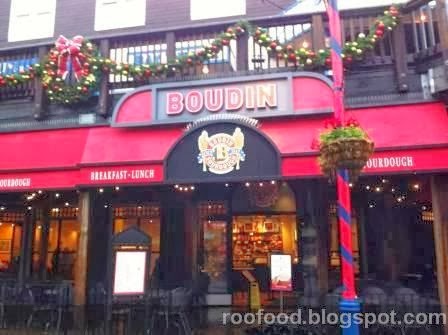 Nearby is Boudin, the factory and bakery. 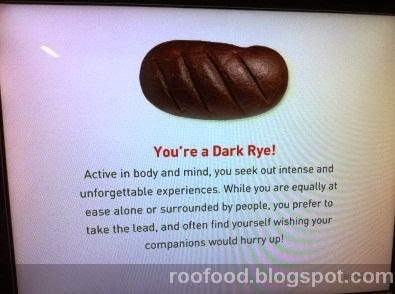 You can take a free tour through a small interactive exhibit and learn all about the history of this famous sourdough. 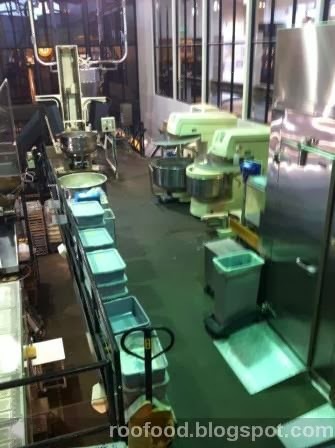 You then get to the platforms above the bakery to watch it being freshly made and baked. The smell is heaven. Once you have finished head over to the store to purchase all your bread needs, along with boutique jams, jellies, deli meats, sandwiches and don't forget your souvenirs. I indulged in a little pick me up. 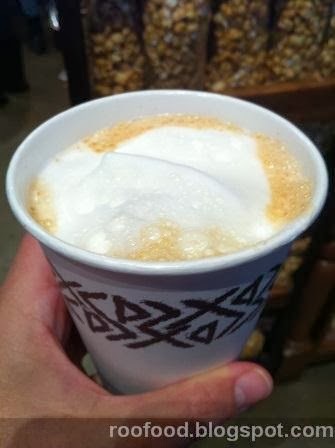 The seasonal/holiday pumpkin latte. So yummy! The afternoon was spent wandering around the Ferry Building Marketplace along the Embacardero. The marketplace is open 7 days a week, with various boutique stores selling their goods. Three times a week the Farmers market moves in too. 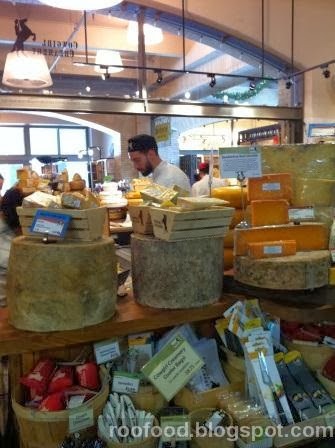 I missed out on market day, but I do enjoy a couple of hours taste testing and purchasing some cheese. 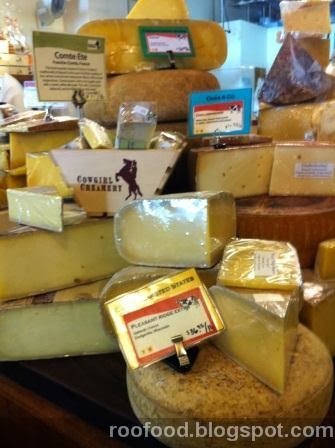 Cowgirl Creamery make artisinal organic cheese, along with cheese from around the world. 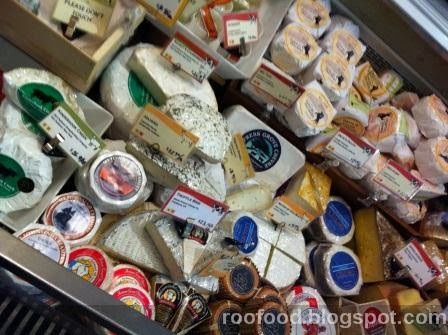 I spent a good half an hour with the assistance of a lovely salesman tasting many of the cheeses on offer. 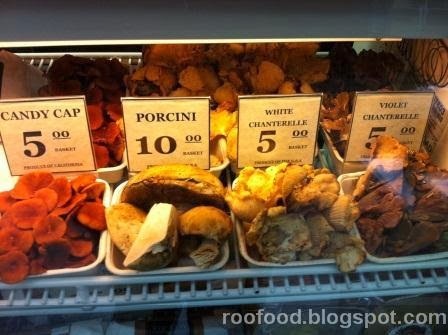 Mushrooms anybody? 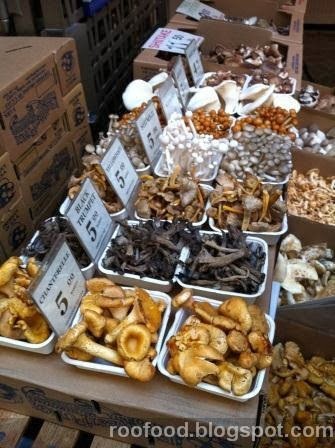 A variety of mushrooms from Far West Fungi. Check out their website for a Fungipedia learning experience on all things fungi! 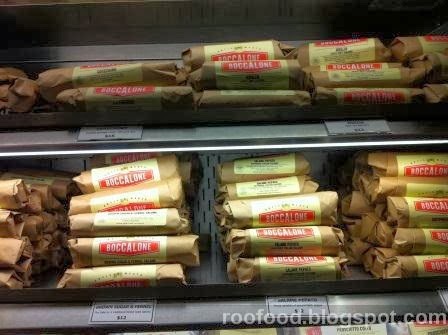 Don't forget your salami's at Boccalone. 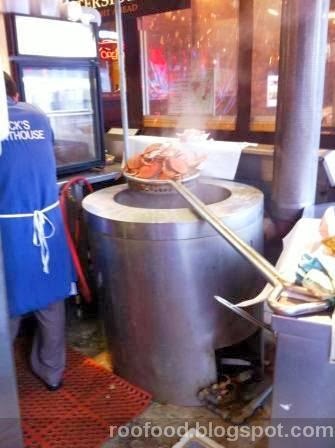 Fresh, smoked and speciality meats abound! 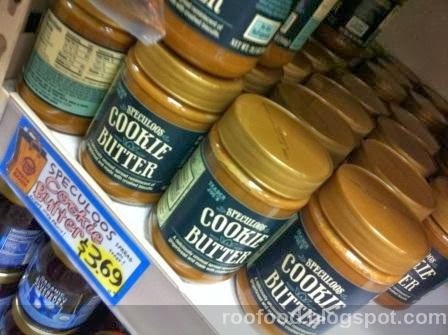 Couldn't visit the States without stocking up on Cookie Butter at Trader Joes. This is serious crack in a jar! In need of sustenance I headed to a 24/7 diner called Pinecrest, which was across the road from the hostel I was staying at I just wanted a quick counter meal. 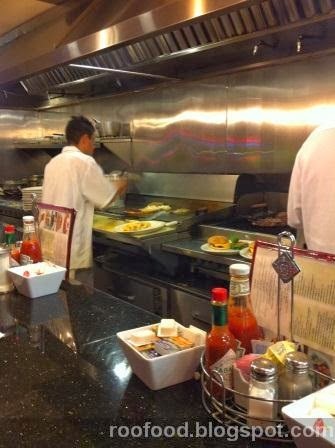 I really do love American diners. Old, greasy and full of character and characters! The patty melt caught my eye. What is a patty melt. Think a burger on bread and you've got it in one! Sitting at the counter, I got chatting to a lovely man who was in town for a conference. A random stranger happily chatting chatting about travelling, family and friends and the philosophy of life. He was very intrigued about when I spoke about the The Dash, a poem by Linda Ellis. This sums up how I like to live my life. It's a very moving poem! 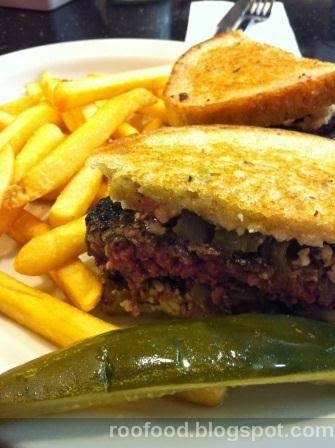 The patty melt was fantastic. 100% beef patty cooked to perfect medium rare, dripping with juices, onions and the bread is buttered and soaking up all the lovely juice. 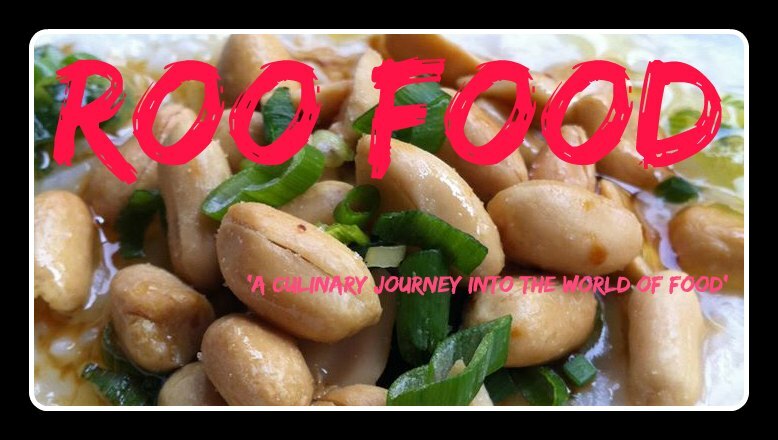 It's the perfect cold winters night dinner. ......and as for that random stranger I met at the counter? He paid for my dinner before I realised he had and thanked me for a wonderful dinner. It's moments like this that you can really appreciate the kindness of strangers. Paying it forward? My last breakfast in San Francisco. I headed to Dotties True Blue Cafe. I had read a few reviews and someone had suggested it at the hostel. This is a fabulous, popular cafe. 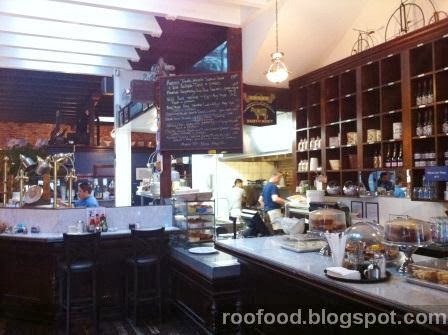 Comfort food, good coffee, buzzing cafe and warm and hearty. 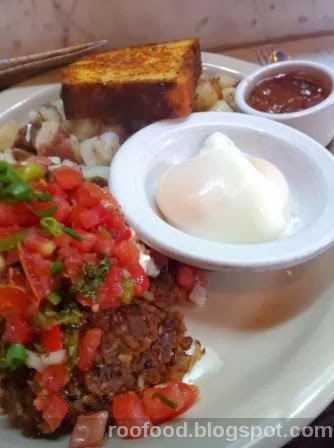 Blackbean cakes and eggs any style with grilled chili-cheddar corn bread with home fries topped with sour cream and pico de gallo. The breakfast of champions! 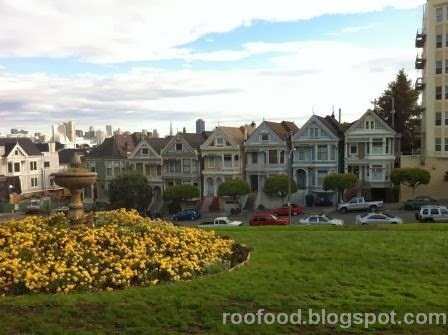 Last view before leaving San Fran...the Painted Ladies!